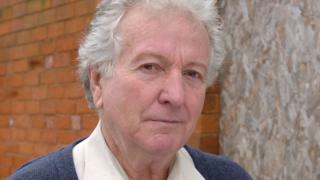 UK actor Keith Barron, who starred in sitcom Duty Free, has died aged 83 after a short illness. Barron, who was from South Yorkshire, rose to fame in the 1960s as Detective Sergeant Swift in The Odd Man. He also appeared in Coronation Street, Doctor Who, Benidorm and Randall and Hopkirk (Deceased). Barron is best-remembered for his role in Yorkshire Television sitcom, Duty Free, where he played David Pearce. Set in Spain, Duty Free ran for three series from 1984 until 1986 with Barron starring as a lead character. Much of the show's humour came from David and Linda's attempts to conceal their affair. In a long career, he starred in Hollywood film The Land That Time Forgot and had a number of appearances in landmark British shows including Doctors, A Touch of Frost and Casualty.